Looking For A Dentist In Rayleigh? Are you looking for a dentist near you in Rayleigh? Hockley Dental Lab and Surgery are the dentists you have been looking for! If you are in Rayleigh, find us just by driving 5 minutes down the road to Hockley. We are opening our doors to first-time clients like you, with various dentist services. Our dedicated team of dentists, orthodontists, and other oral health practitioners are waiting for you to call and book an appointment. Whether you are a senior, or just a young man or woman looking for the ideal place to get a checkup done, we are available to help. 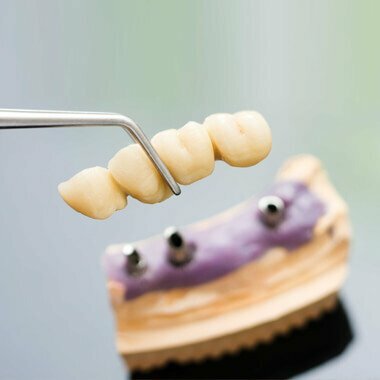 At Hockley Dental Lab and Surgery, we handle individual needs to ensure you are matched perfectly with the right dental treatment plan. You don’t even have to leave your kids behind when you pop in, as we provide a special kids club’ facility for children. At Hockley Dental – we welcome Rayleigh clients who are looking for a new dentists as single patients, or as families. Our dentists have served clients from Rayleigh for decades now, having shown clients in Rayleigh that our dentists are the most sought after in the area. We understand that you deserve remarkable service at a reasonable price and though we are a private dental practice serving Rayleigh, our rates are quite standardised in relation to other local dentists in Rayleigh. With us, you get much more than just value for money. The staff at our dental practice near Rayleigh combine excellent professional training with years of experience. You can now get your new dentist at Hockley Dental Lab and Surgery with the assurance of best service possible. We have excelled in much more than oral care, and we would like you to be our next happy client. Our policy is to treat all patients like members of the Hockley Dental Family. This way, we have managed to earn the trust of hundreds of clients from Rayleigh who were once nervous as new patients looking for a new dentist.. We cater for emergency cases as well as we do for regular checks. Feel free to ring the office during our practice hours. We have, however, not shut the door on anyone who might want to call during out of office hour, particularly for clients in Rayleigh who need a dentist in an emergency. Hockley Dental Lab does not have a history of letting patients down. It is the reason you should to try us today. Remember, it does not matter how bad your past visits to the dentist have been. We are here to help and change that.